Intake, exhaust and jetting are very typical bolt-on type improvements that have been made to ATVs and motorcycles for years. 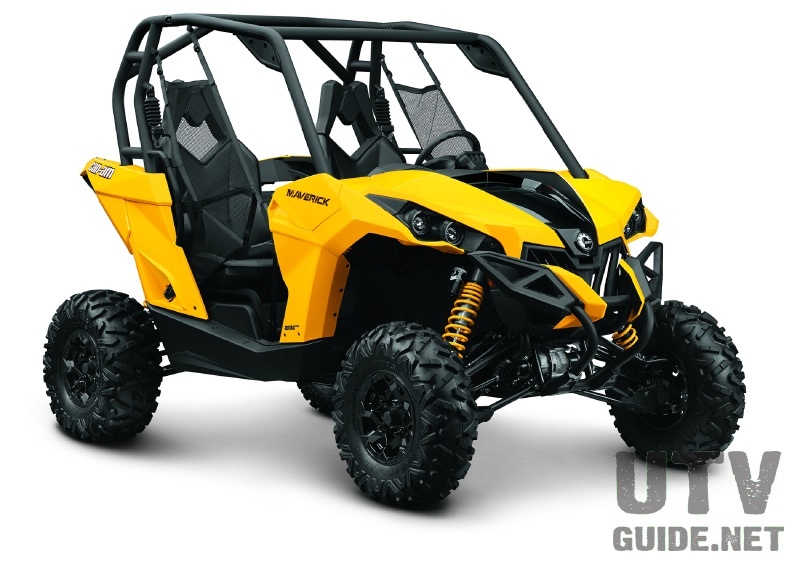 Since the Polaris Ranger RZR has an ATV engine, it is not surprising that most of the same aftermarket exhaust manufacturers now have offerings for it. 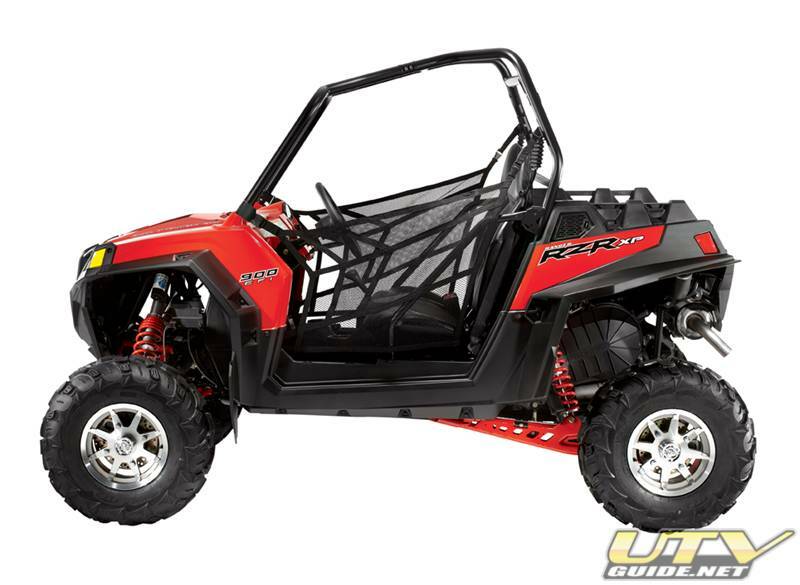 The RZR has different power/torque needs and also has a bit more space to work with so some companies have some unique solutions. The difference with the Polaris Ranger RZR is EFI. An EFI system will require a fuel injection adjustment module instead of jetting. Some exhaust manufacturers will offer their own in addition to working with EFI module companies like Dynojet. 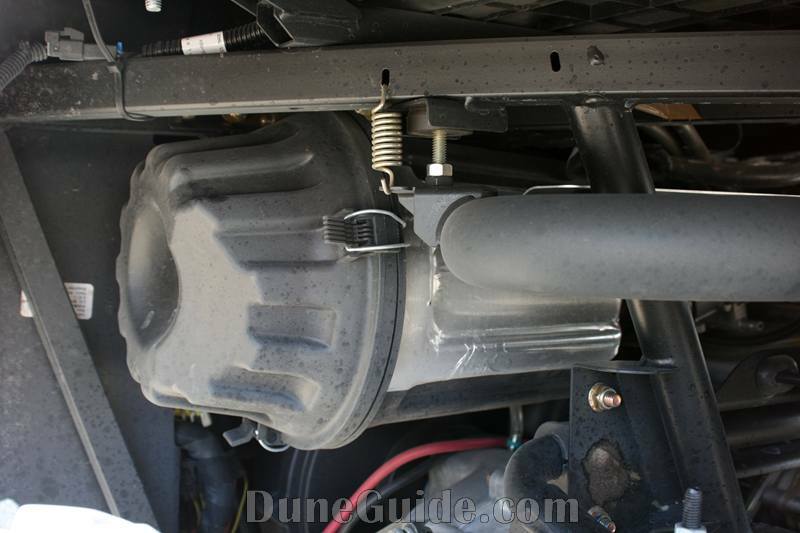 Many exhaust manufacturers are focusing resources on producing quiet exhaust products because they know their survival depends on quiet technologies that will increase the ever-sought-after horsepower. But many aftermarket exhausts are very loud. Do your homework and ask questions before buying. 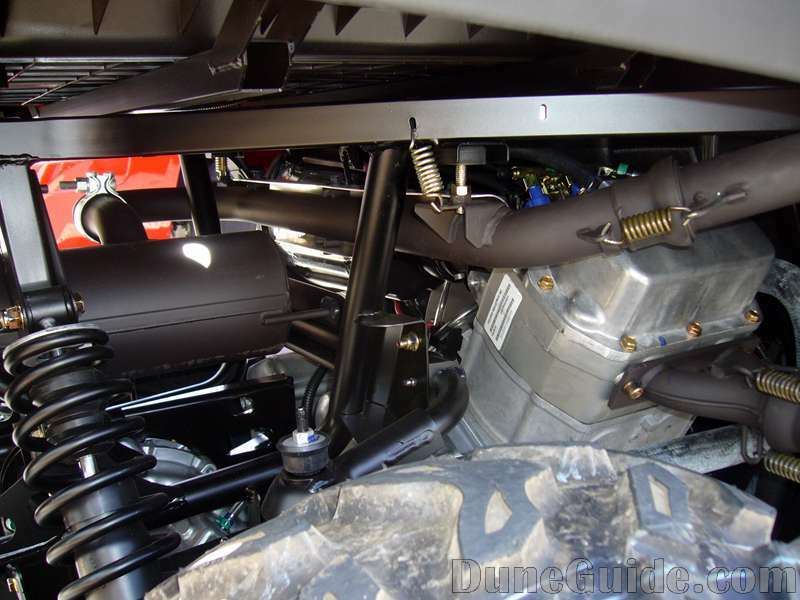 The RZR engine sits sideways and behind the seats. The exhaust exits right near the passenger fender and comes out the center/rear. The air filter for the RZR is behind the driver's seat and there have been a few problems with dirt getting past the filter. All RZR Exhaust information can be found here. If you manufacture performance parts for Polaris Ranger RZR's, and are interested in having your product(s) listed here please send us an email.